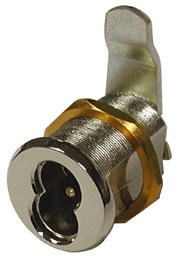 Dimension: Cylinder diameter: 1-1/8, across flat 7/8" , mounting cutout 1-5/32"
Olympus 720LM/DM small format interchangeable core (SFIC) Cam Lock. It is ready to accept Best, Arrow, Falcon or equivalent 6 or 7 pin small format interchangeable core cylinders. Lock sold less core.